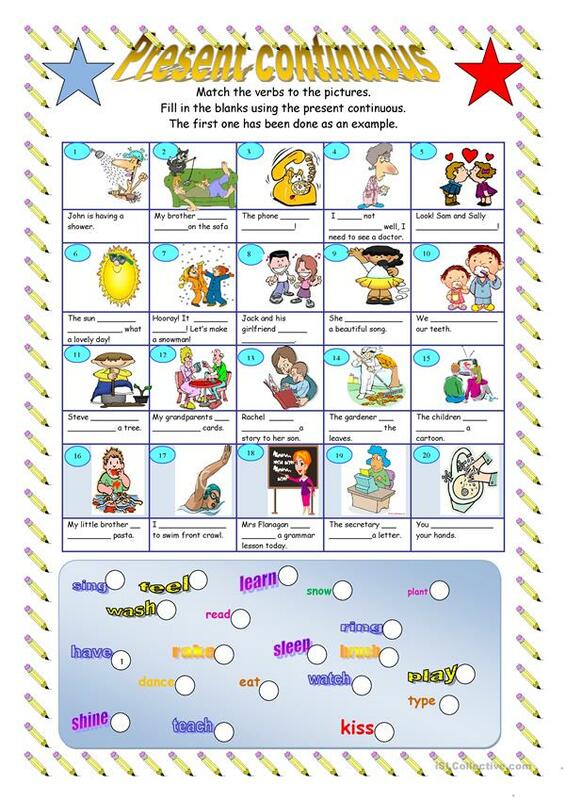 Students have to match the verbs to the pictures and include the verbs in a sentence at the present continuous form. This downloadable handout is a great resource for high school students and elementary school students at Elementary (A1) and Pre-intermediate (A2) level. It is a useful material for consolidating Present simple vs continuous (progressive) tense in English, and can be used for enhancing your learners' Writing skills. It includes the answer key, too. francereference is from/lives in Italy and has been a member of iSLCollective since 2011-03-09 17:02:09. francereference last logged in on 2012-09-29 14:05:22, and has shared 192 resources on iSLCollective so far.